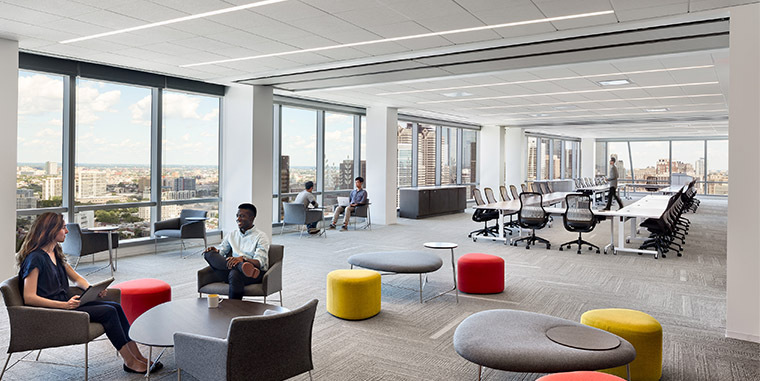 When FMC Corporation — one of the world’s leading specialty chemical companies — decided to build a new global headquarters in Philadelphia, the company went to great lengths to create an environment where employees were engaged and inspired to do their best work. The goal was to design a forward-thinking workplace that showcases the FMC brand while reflecting the pride and passion employees have for innovation, serving customers, creating value and supporting the community. 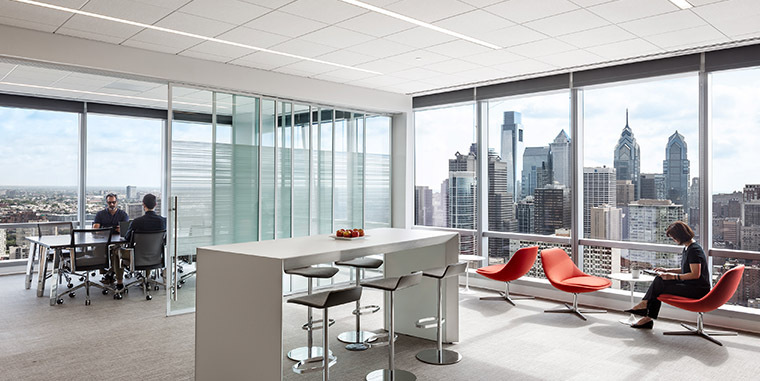 Their vision for a modern-day workplace came to life in 2016 as the FMC Tower at Cira Centre South, a 49-story skyscraper that combines iconic architecture with the latest in LEED-based sustainable design. 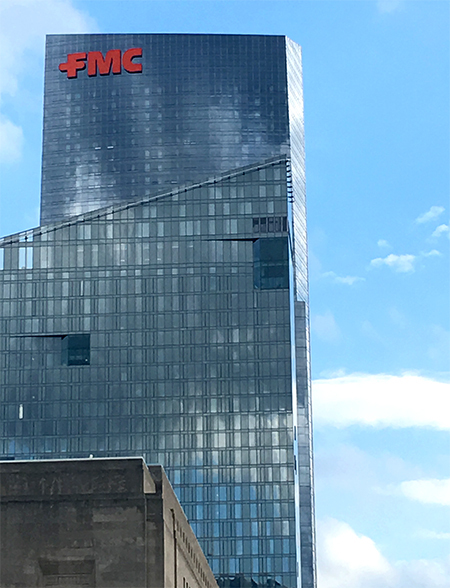 Lauded as Philadelphia’s first vertical neighborhood, FMC Tower brings together office space, residential apartments, a retail/ restaurant pavilion and amenities such as a fitness center, pool and media lounge all under one roof. A one-acre elevated park atop the adjacent parking garage serves as an outdoor retreat for FMC workers and building residents. Designed by Pelli Clarke Pelli Architects, the stunning high-rise along the western banks of the Schuylkill River stands as the tallest building in Philadelphia’s University City neighborhood, with 10-foot-high ceilings and floor-to-ceiling windows offering panoramic views of the city skyline and landscape. The building’s angled shape presented the team at Granum with a unique challenge when designing FMC’s 10 floors of office space. 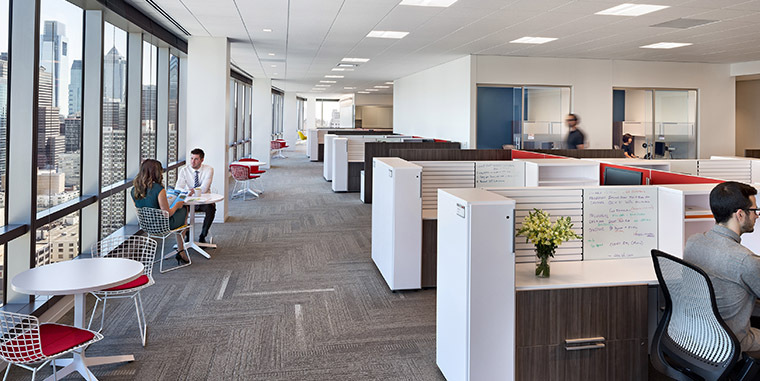 Granum employed a flexible strategy with a variety of different spaces such as team zones, huddle rooms, focus booths and relaxed social settings, allowing employees to choose the work setting in which they’re most productive. Social space and quiet space anchor each floor, with office space positioned away from the perimeter wall to provide plenty of access to natural light. Meeting spaces in varying sizes and configurations support collaboration and training. Even the cafeteria and café function as work and meeting areas, serving as a crossroads for members of different departments. With an open office environment there is more variety in spaces and requirements, so acoustic ceiling performance matters. To balance performance and aesthetics, the team chose the Symphony® ceilings collection for targeted performance with a consistent look. In the kitchen where hygiene is key, the Symphony® collection also met the need for cleanability, water repellency and stain resistance. Faced with the challenge of balancing design with acoustic performance in the open office workstations, collaborative spaces, huddle rooms and private offices, the Granum team turned to CertainTeed Ceilings for a solution that would enhance both the aesthetics and the acoustics. Granum found the design flexibility they were looking for in CertainTeed’s Symphony® ceilings collection — a complete range of acoustic solutions offering targeted performance with a consistent appearance. The CertainTeed line also contributed to earning LEED credits — an important consideration in meeting FMC’s sustainability goals and achieving LEED Gold certification for its commercial interior. Stepping in to assist Granum with the product selection, CertainTeed Ceilings sales representative Doug Depte worked in close collaboration with the designers throughout the project to help them choose the right ceiling panels for the right space. “We developed a multi-product solution that would best meet the building’s needs for acoustic performance without compromising the visual impact or the budget,” Depte says. In the open office spaces, breakout rooms, quiet areas and corridors, the goal was to manage the acoustics. These spaces often have a lot of ambient noise and hard surfaces that aren’t conducive to sound absorption. 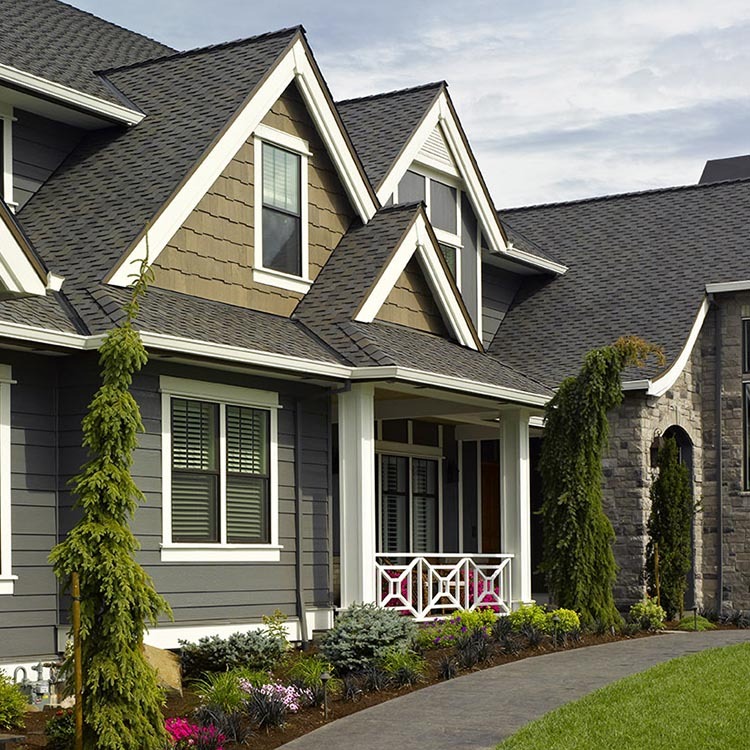 For these areas, Granum specified CertainTeed’s Symphony® f — a fiberglass panel with a 0.95 NRC for maximum sound absorption. Symphony f is ideal for absorbing background speech noise in an open office environment. The enclosed closed huddle rooms, conference rooms and private offices presented a different challenge — how to contain sound and maintain speech intelligibility. 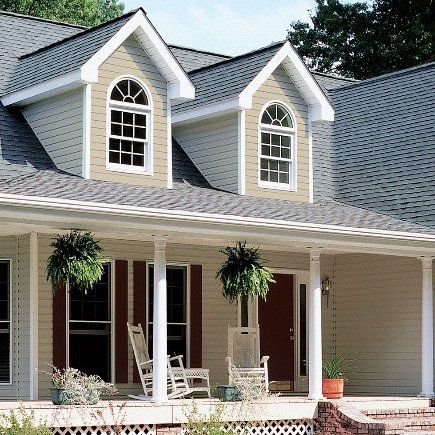 Here, Symphony® m provided the solution. 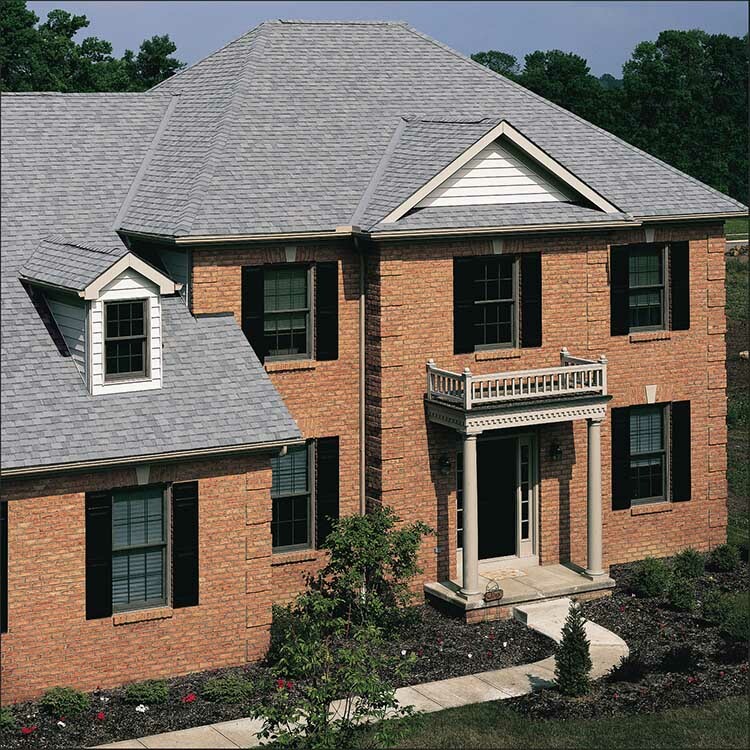 The mineral fiber tiles feature a denser base board that blocks sound with a CAC range of 33-41, delivering just the right level of noise containment in these smaller spaces. In the kitchen, the designers knew they needed to control the acoustics, but they also wanted a solution that would address cleanliness. They selected Rx Symphony® m for its blend of acoustic performance, exceptional durability, cleanability, water repellency and stain resistance — critical features in an area where food is prepared and hygiene is key. For the enclosed executive offices, privacy was the main concern. CertainTeed’s Adagio® enables executives to have confidential conversations without the worry of being overheard in the open environment. A composite product that combines the sound absorption properties of high-density fiberglass with the sound containment qualities of mineral fiber, Adagio offers superior acoustical comfort and privacy. Adagio shares the same smooth finish and edge detail as the Symphony line, for a seamless visual aesthetic with targeted acoustic performance. 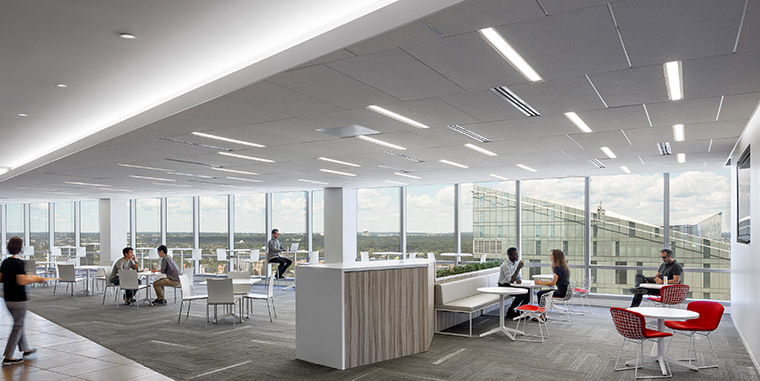 With a clean, white monolithic look that reflects the abundant daylight, CertainTeed’s Symphony and Adagio ceilings helped the design team to meet one of its most important goals and highlight the building’s best feature. “We wanted to enhance the building’s highest aesthetic qualities without compromising any of the functional and sustainable decisions,” Hong explains. Walking through the new FMC headquarters, you can see and hear how bright and quiet the office is — a testament to the power of effectively managed acoustics. “The high ceilings with their clean lines look great and perform well,” notes Vince Carango, Global Director of Facilities for FMC. “Prior to the move, we heard a lot of grumbling from employees who were worried about losing their private offices and not being able to concentrate on their work. Explore The Symphony Ceilings Collection.